ITV bosses are furious that Cheryl Tweedy starred on Michael McIntyre’s Big Show on BBC1 last night – in what is claimed to be a ‘ruse’ to keep viewers watching The Greatest Dancer straight afterwards. Cheryl, 35, is a judge on the dance competition, but in the slot leading up to it she appeared as a guest on McIntyre’s hit show, because the Beeb believe she is their secret weapon to beat rival show The Voice. ITV launched a new series of The Voice at the same time last night – 8pm – in a fierce Saturday night ratings battle with The Greatest Dancer, which is produced by Simon Cowell. Sources at ITV say the BBC used Cheryl to ensure that a ‘lead-in’ audience stayed with the corporation following McIntyre’s popular show, which regularly attracts 6 million viewers. 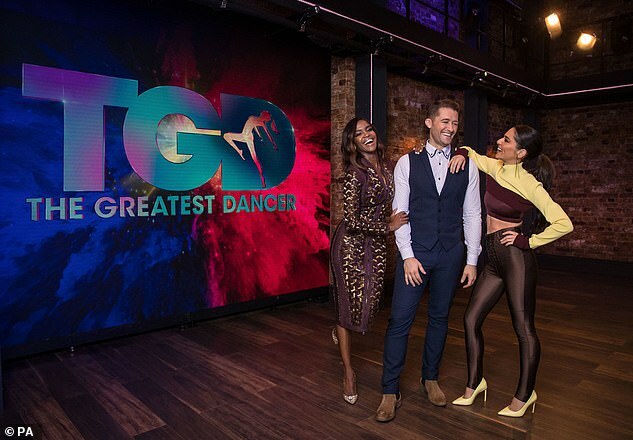 One told The Mail on Sunday: ‘This all seems like a ploy to advertise the fact that The Greatest Dancer is on next. It doesn’t really seem fair. 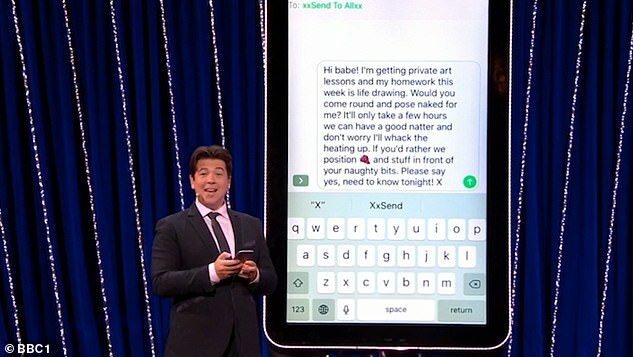 In an attempt to ramp up the singer’s role on the network, the BBC included a clip on the show where McIntyre, 42, sent a text to all of the contacts on her phone, asking them to pose naked for a life drawing class on Friday. Last week The Mail on Sunday revealed the huge battle for ratings between the two shows, with both channels putting their shows on at 8pm despite them discussing the scheduling with each other. The move defied the Government’s calls for the corporation not to put its major programmes head-to-head with those of its rivals. In 2016, as part of the review of the BBC’s Charter, the then Culture Secretary John Whittingdale tried to stop it pitting its top shows against hit programmes on rival stations.